If you need to clear the E48-32 Error on your decoder today, you do not need to break it apart trying to fix the problem. The error normally happens when the decoder is not receiving the signal probably because of the weather, aerial malfunction or connection error or when the aerial is not placed in an area where it can get the highest signal strength. While the GOtv E48-32 Error normally affects one channel at a time depending on where the signal is coming from and the weather in the area, there are times when it affects all the channels like today. Press Menu on your remote control>Advanced options>Installation>Reset and update on the progress. There is also another error known as the E16 error. This normally happens when your subscription has expired. All you need to do is grab the paybill number for whatever method you’ll be using whether Equitel, Mpesa or Airtel money. Ensure that your decoder is on while making the payment to enable an automatic reset. 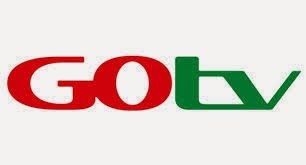 If you pay and you are still experiencing the error, just visit this post to learn how to clear the e-16 error on GOTV. Also having this problem. Its so frustrating. Am receiving an error code 48-138 everyday after every 5 minutes. What could be the problem? hi, i am receiving both errors E16 and E48-22. despite trying to clear it has refused to go away. also after i make my payments i do not receive notification acknowledging my payments….must i keep on calling every time i make payments? I have a error E66 on my Gotv,how can I clear it? Your latest update not functioning at all kindly. Error e48-32 searching for signal. Her frustrating. I ran away from a provider because of such. I am contemplating on what to do. Prior to this, there were interruptions, same lack of signal until late at night, ten o’clock and beyond.